Halloween. The ‘spookiest’ time of the year. It’s when cable TV starts showing re-runs of classics like Halloween (duh! ), A Nightmare on Elm Street and the Texas Chainsaw Massacre, and costume parties abound. Or, if you worked at my (now ex) company, they have a small prize for colleagues who come to work dressed up. Usually this means slathering some face paint on and dressing up in all black, but still. While Halloween is not as big in Malaysia as it is in countries like the States (where people go trick or treating door-to-door and Starbucks insists on pumpkin spice everything), there are still loads of things you can do to participate in the festivities. Talk about ‘running scared’, lol. Raise your heart levels and get some cardio in at the Halloween Night Run, returning to MAEPS Serdang for its second year. Coz when it comes to running and having a good time, all ghost, ghouls, demons and witches are equal. Bonus: Come dressed in your best costumes and stand a chance to win prizes! Nothing screams ‘celebrating Halloween’ like a trip to the spook house. Or maybe 8 spook houses, 5 scare zones, 11 thrill rides and 4 show stages. 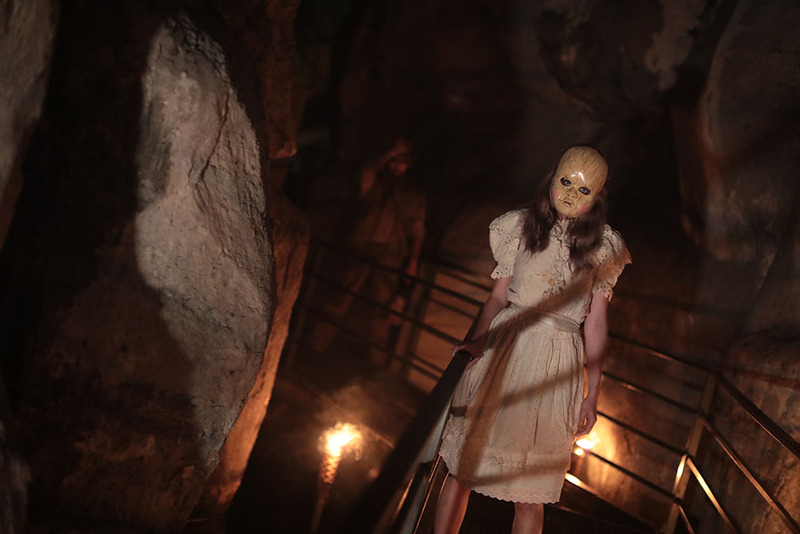 At Nights of Fright 5 by Sunway Lagoon, every corner is filled with otherworldly denizens, be it zombies, cursed dolls, corpses or vampires. Enter… if you dare. Credit: JumpstreetAsia sorry couldn’t find Halloween one lol. Impersonate a pocong (coz it jumps, geddit? lol) at Malaysia’s largest indoor trampoline park, Jump Street Asia. Dress up and bounce your way to a good time, with fun activities such as a haunted house, zombie dances and best costume contests. For only one entry price, you get five hours of great fun as opposed to the usual hourly rates, so book early! Don’t waste that blood! Donate some to help save lives at My Bloody Halloween 2.0. The initiative is put together by a group of youths from the Leo Club. There will also be cool vendors, pop up stalls and activities at the event ! Bars, pubs and clubs in various spots around the Klang Valley/KL have a long tradition of having costume parties and Halloween promotions – and one of the best spots to experience the nightlife is at Changkat Bukit Bintang. Spots like Havana have annual dress-up events with free entry for those in costume, and other places also have their own themes. And having a tipple as a vampire beats boring ol’ normal clothes any day (or night).